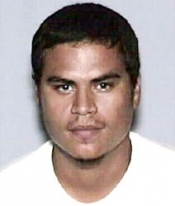 2/28 UPDATE: A federal judge ruled this afternoon that Jose Padilla is competent to face terrorism charges. Judge Marcia Cooke's decision clears the way for the start of Padilla's trial, scheduled for April 16. FEBRUARY 28--Faced with two stark assessments of the mental state of Jose Padilla, a federal judge will soon rule on whether the alleged Al Qaeda operative is competent to stand trial on federal terrorism charges. While Padilla's counsel contends that he has been incapacitated due to more than three years of torture, isolation, and mistreatment at a Navy brig, government doctors concluded in a February 5 report that Padilla was not suffering from a severe mental disorder. As such, Padilla, 36, was judged competent to stand trial. The detailed government report claims that Padilla, who is described as suffering from "antisocial personality disorder," was "semi-cooperative" during interviews, but refused to submit to psychological testing. Padilla, who has been designated an "enemy combatant," is suffering from post-traumatic stress disorder, according to his doctors (an appraisal that was rejected by government examiners).